Yeah, like the big, blue character in Monsters, Inc.
Well, no, of course I'm not blue! But I am a little bit like that Sully. You see, when I first got here to Great Plains, I thought my job was to scare everybody, just like the blue Sully! So I was just a little bit swatty and not very nice sometimes. Really though, you can't blame me. I came from a home where there were just way, way too many cats. So I never got all the love and attention I really needed and wanted. And nobody ever showed me just how wonderful you humans can be. Then I met my foster mommy! And just like when Sully met Boo in the movie, I learned how super awesome people really are! She was so kind and patient with me, and she taught me all about love. Now, instead of scaring people, I'm the top lover around here!" I not only love people, but I like being around other kitty cats, too. And I've even spent some time with some doggies who were nice to me, and I did just fine with them, as well. Aside from snuggling, I also love to play, especially if you have some string toys. I sure hope you like to play with string toys, too. We could have some great games together! But what I love most of all is to spend my time lounging and cuddling with humans. Yep, just like the big, blue Sully, I've learned how loving and kind you all are, and I don't ever want to scare you again. 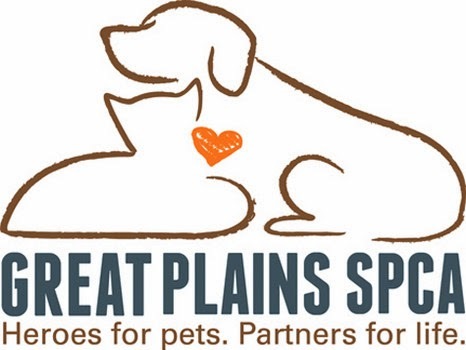 Won't you please come down to Great Plains today and say hi? Then we can start living our very own "happily ever after" together. Sully - the lover, not the monster - is available at the Independence Campus of Great Plains SPCA. Sully, in spite of your background, it sounds like you have become a really awesome kitty! We are glad you are no longer in your past situation Sully and we hope you find your forever loving home soon and that you grow to love your human. Have a serene Sunday and enjoy some big easy today. That is so sweet. Happy Mother's Day!